The company Nikola Motor unveiled the first sketches of the hydrogen truck truck Nikola Two. Details about his hybrid eAxle powerplant, developed in collaboration with Bosch, have become known. 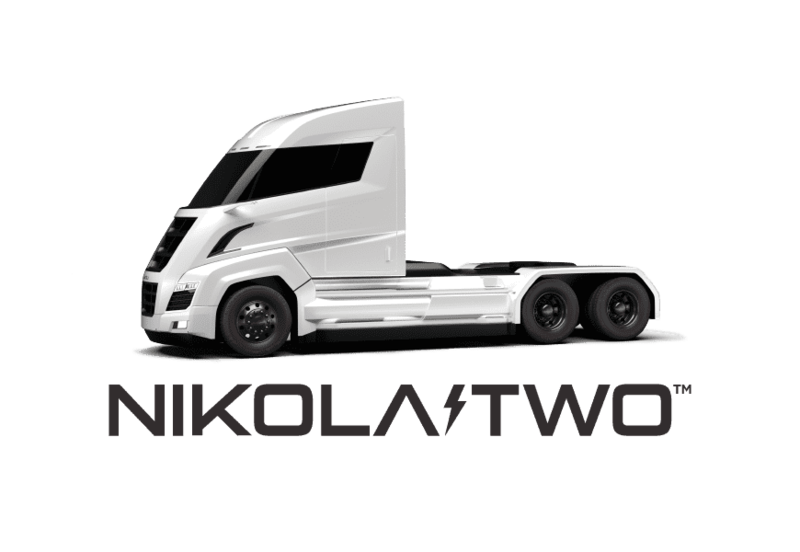 The Nikola Two hydrogen truck tractor will hit the market in 2021, as will its elder brother, Nikola One. 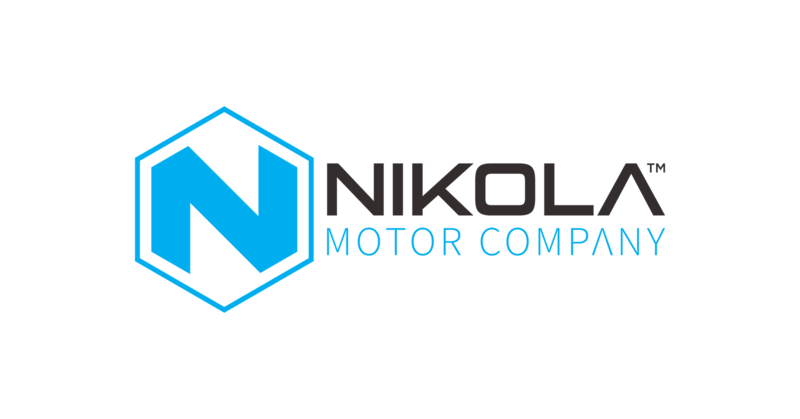 The company Nikola Motor has published the first sketches of new items that are significantly different from the early versions that appeared in late 2016. The company Nikola Motor announced the date of the presentation of the hydrogen-electric tractor, designed specifically for the European market. 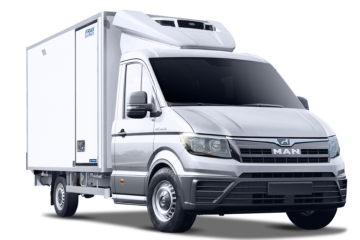 After the presentation of the revolutionary hydrogen truck Nikola One in December 2016, Nikola Motor paid attention to the European market. It was announced that in the framework of the Nikola World event, which will be held April 16-17 2019 in the city of Phoenix, a hydrogen tractor for Europe debuts. The truck will be called Nikola Tre. 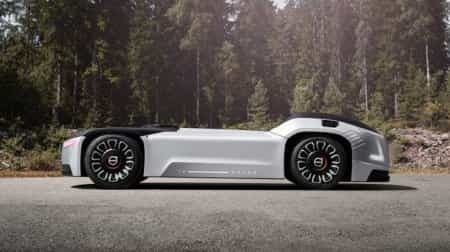 Volvo Trucks has introduced the autonomous electric truck of the future Vera, which is characterized by the complete absence of the driver’s cab. The solution is designed for regular and repeated trips, which are characterized by relatively short distances, large volumes of goods and high accuracy of delivery. A typical example of such transport problems are, for example, flights between logistics points, but possible and other options. The debut of the German lion cub MAN TGE with a total weight of 3.0 to 5.5 tons was very convincing. The product line consisted of an all-metal van, half-glazed combi, a passenger minivan and a chassis with a single and double cabin. Cars have front, rear or four-wheel drive. 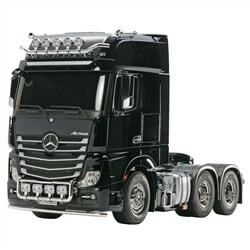 They are available with two wheelbases (standard and elongated), three roof options (normal, high and extra-high), three length options. Scania S & R Series 2016. Gross weight: over 16 tons. Sales start: Fall 2016. Let's start with the fact that before Scania had a new generation of trucks, it was almost 21 years. 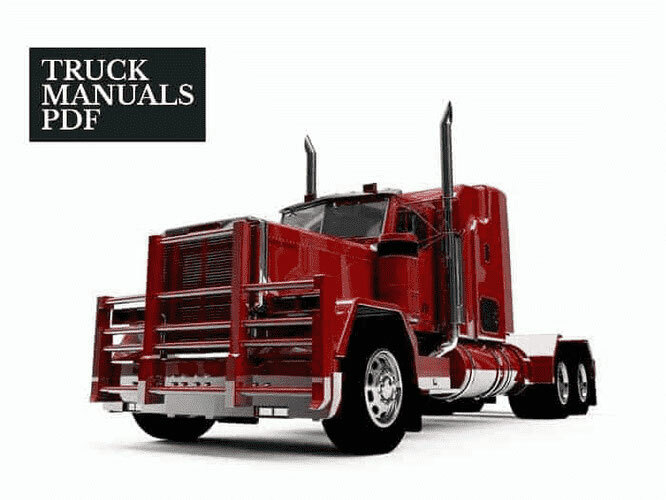 For some it will seem like a very long period, but for trucks, the generation change takes place on average once every 20 years. 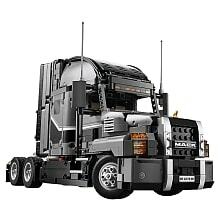 Too much investment in development, time to prepare for production and debugging machines The development of the new truck took 10 years and investments in the amount of $ 2.35 billion. In honor of Mack Anthem's debut of the new generation, a press conference was held at which John Walsh, vice president of global marketing John Walsh, said that "Mack is the only US truck manufacturer that can declare that all trucks sold in the United States are produced here , in USA" The designers of the company tried in a novelty to embody the image of the "true American tractor" while preserving the Mack branded features so that it could be recognized at a glance. American company Cummins, engaged in the development of engines for trucks, showed a prototype of an electric tractor called AEOS. 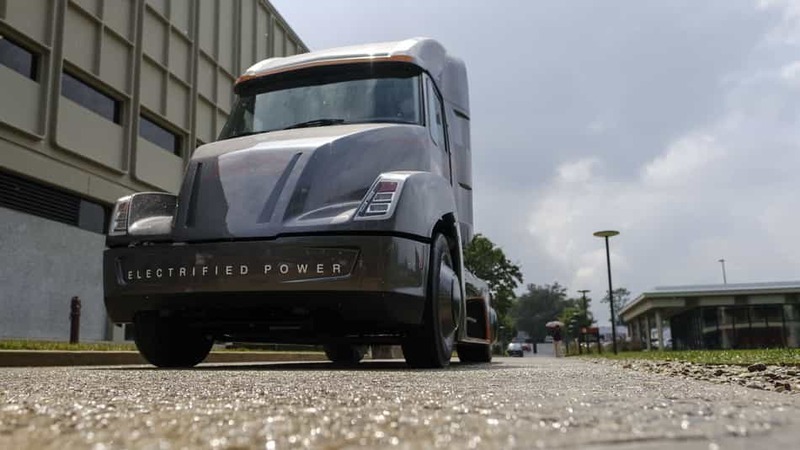 The truck from Cummins drives electric motors powered by a 140 kWh battery pack that took the place of a 12-liter engine. On the weight of the tractor this did not affect, since the battery pack weighs as much as the remote engine, transmission and fuel tank combined. The reserve power of the model is 160 km. Daimler began testing semi-autonomous trucks on the Nevada and Oregon highways to determine the safety of the autonomous control system when driving in the "caravan" mode. Using the technology of autonomous driving allows trucks to move with a much smaller interval. 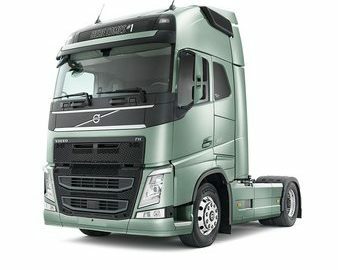 According to the company, this allows a 10% reduction in fuel consumption, by reducing the resistance to air flow generated by the truck ahead, and therefore, to reduce CO2 emissions. The Chinese company Geely buys a 8.2% stake in the Swedish concern AB Volvo, better known as the Volvo Group, worth 3.3 billion euros. 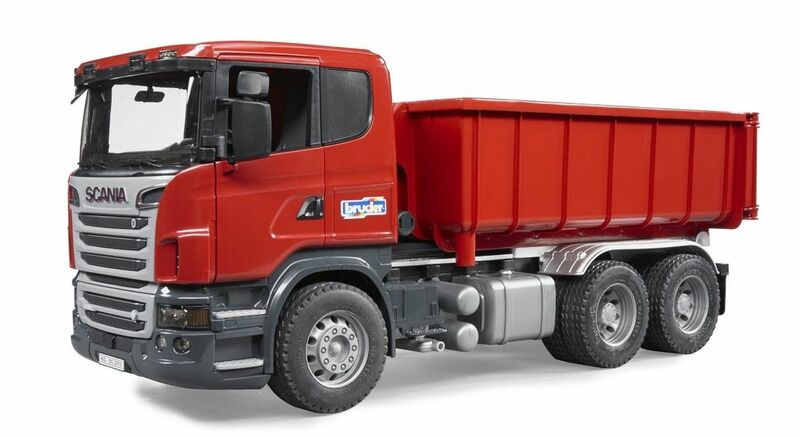 As noted by the seller - investment company Cevian Capital - the initiator of the transaction is Geely, which made a request for the acquisition of assets of AB Volvo. The company already owns the brands Volvo, Proton and Lotus, and now will own AB Volvo, which separated from Volvo Cars in 1999.